We respect the privacy of every person who visits or registers with Transcontinentaladvancedcoatings.com (the “Site”) and who uses the services that we make available from the Site or who engages with us to purchase products or services (be it through the Site or not) (our “Services”) and we are committed to ensuring a safe online experience. The Site and our Services are operated by Transcontinental Holding Corp. (“we”, “us” or “our”). Transcontinental Holding Corp. is the data controller responsible for your personal information processed via the Site. Transcontinental Holding Corp. is a corporation organized under the laws of the State of Delaware, U.S.A., and has a registered address at 1209 Orange Street, Wilmington, Delaware, 19801 USA; its registered Delaware corporation number is 3380441. 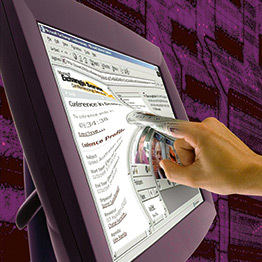 Olefinas S.L.P, S.A. de C.V.
Our Site uses various user interfaces to allow you to request information about our products and services, including printed and electronic enquiry forms. Contact information may be requested in each case, together with details of other personal information that is relevant to your customer service enquiry. This information is used in order to enable us to respond to your requests. We use third party service providers to assist us with customer surveys and feedback requests. Our third party providers are located in Canada and the USA, and their use of your information is governed by EU Model Contracts. We will share your personal information with professional advisers such as lawyers and accountants and/or governmental or regulatory authorities. We also share your data with one or more third party software providers, each of which hosts a data base of entities and individuals restricted under trade sanctions laws of the countries in which we operate. These providers are located in Canada and the USA and their use of your personal information is governed by EU Model Contracts. Some of our third party providers are located in Canada and/or the USA and their use of your personal information is governed by EU Model Contracts. We may use information that we observe about you from your interactions with our Site, our email communications to you and/or with Services (see the Customer Insight and Analysis section above for more details of the information collected and how it is collected) to provide you with personalised advertising on social media channels operated by LinkedIn, Twitter, YouTube, Facebook and/or Google where you are a registered user of such services. We may do this using Facebook Customer Audiences and/or Google Customer Match respectively. Please note that any such activity is also subject to the privacy choices you have elected to make on such services. We will only engage in social media remarketing where you have consented to us using your email address for marketing purposes. We may do this using Facebook Lookalike Audiences and/or Google Similar Audience respectively. Please note that such activity is subject to the privacy choices you have elected to make on such services. We may share your email address with third party service providers who assist us with social media remarketing campaigns. Your encrypted email address also may be shared by us or our third party marketing consultancies with Facebook and/or Google under the terms of their Facebook Customer Audiences and/or Google Customer Match respectively. by informing us by e-mail, post or phone using the contact details set out in this Privacy. , such as, without limitation, website developers, hosting companies and advertising agencies who will process personal information on our behalf and at our direction. We conduct an appropriate level of due diligence and put in place necessary contractual documentation in relation to any sub-contractor to ensure that they process personal information appropriately and according to our legal and regulatory obligations. If you are based within the EEA, please note that where necessary to deliver the Services we will transfer personal information to countries outside the EEA (including to other entities that are part of (i.e. Transcontinental Holding Corp. and its affiliates listed in Section 2 above). When doing so we will comply with our legal and regulatory obligations in relation to the personal information including but without limitation putting appropriate safeguards in place to ensure an adequate level of protection for the personal information. We will retain your personal information for up to and in compliance with our obligations under the EU General Data Protection Regulation (or similar legislation around the world) (or for longer as we are required to do so according to our regulatory obligations). We may then destroy such files without further notice or liability to you. If you request your files and documents we may charge you for the costs of copying a duplicate. We do not knowingly collect personal data from children. We do not take specific steps to protect the privacy of children who disclose their personal data to us. We do not provide information about our personal data practices in relation to children on our homepage, or at those sites on our website where we collect personal data.